This post contains affiliate links. When you click through a link, I get a small referral fee at no additional cost to you. 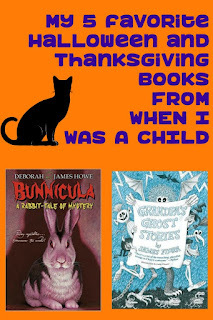 I love doing these posts to help introduce a new generation to some of my childhood favorites. I hope you find something you and your child enjoy here. The smaller children will love The Monster at the End of this Book. It's not scary at all -- Grover from Sesame Street says there is going to be a monster at the end of the book -- and surprise! It's HIM he's been warning you about through the story! My first memory was of a Frankenstein walking down our street on Halloween 1974. I was only 15 months old. I sometimes wonder if I had been read this book that early on if I would have been as frightened thinking that monsters can be our friends. I believe I was given this book when I turned five, and I still have my copy. Who doesn't love Grover? 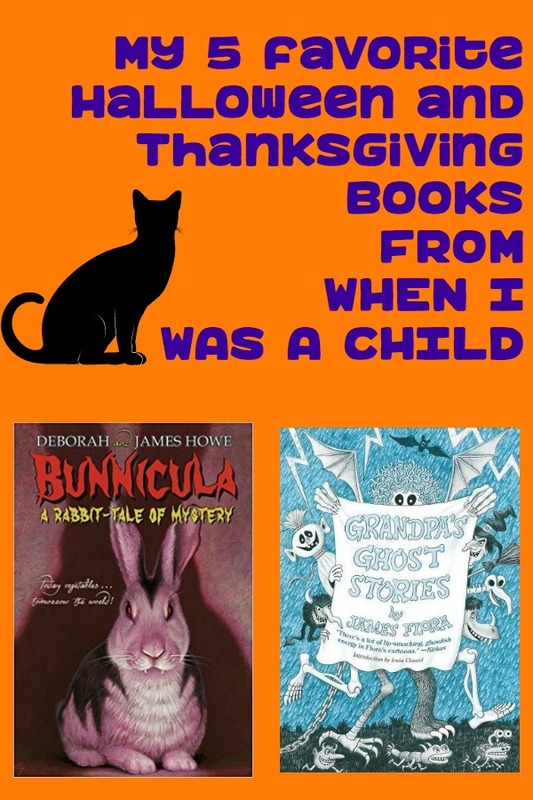 A chapter book that older children will understand but younger children might need some things explained to them is Bunnicula. Again, not exactly Halloween related but still fits in well with this time of year. I can remember loving the title and reading The Celery Stalks At Midnight when I was in 3rd and 4th grade. There are seven books in this series, so if you get a child hooked on the first one you just might need to get him/her all seven! Told by the viewpoint of the family dog, this is a well loved favorite. I hope you enjoy this list I put together and I hope you find a new family favorite!